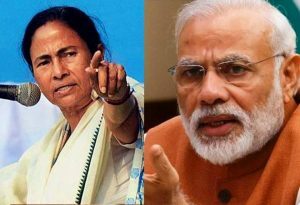 CBI STANDOFF IS NATIONAL SHAME: MAMATA LOSES; MODI TOO! By Biswaraj Patnaik in Puri, February 6, 2019: When Mamata Banerjee expressed great jubilation over the Supreme Court ruling over the CBI row, she was only pretending! The apex court never ruled in her favour. Rather, it made the law clear that no matter how big the public functionary one is, one has to cooperate with the premier probe agency in the interest of the ordinary citizens. It was well-known from the beginning that there shall be no arrest; only interrogation. But the rattled police commissioner acted in such a manner as to boost public suspicion beyond limits. The BJP-led central administration too has no reason to rejoice. Amit Shah, the party boss is yet to get a clean chit on the Godhra massacre allegations. All said and done, the Mamata-CBI standoff shows India in poor light. Just two days before the farcically hurting drama culminated, there was big news that Rajeev Kumar, the city topcop, had gone missing to avoid arrest. A clean-slate top cop would not fear any investigating agency. Bengal boss Mamata Banerjee had no lawful right to agitate against the union government for having dispatched the CBI, even if with a vindictive purpose. The CBI team was held back from entering top cop’s office, and eventually picked by the local police to be tossed into a police station. The media ignored every other job to remain focused on Mamata’s agitation act. And the whole world was amused to sight the Kolkata top cop sitting smugly beside Mamata ranting anti-Modi hymns non-stop. As usual, the Supreme Court was poked at the middle of the night to respond responsibly saying the matter would be taken up on the morrow. The ruling came quite on time and the top cop has been asked to cooperate with the CBI at an outside location to ensure neutrality and unbiased treatment. Mamata seems to have felt relieved that her top cop was not arrested. She screams ‘victory of democracy!’ which is only a cowardly and foolish act. The union government rightly responds saying the CBI stand has been vindicated. Evidently, Mamata had feared her topcop was in trouble and needed protection. But what she did is not a respectable step by any executive head. The Modi administration is certainly sliding down on the popularity chart; but the Mamata move has been proven to be foolish and unacceptable. Blind support by several anti-BJP political outfits to Mamata does clearly demonstrate rabidly lopsided hatred for the Modi-Shah duo. The anti-Modi gang is committing grave blunders by being technically wrong. 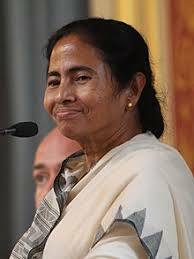 Mamata claims everyone opposed to the BJP is with her, including Naveen Patnaik. But very interestingly, Naveen Patnaik, despite being critical of the Modi-Shah’s unfounded condemnation of the Odisha regime, is maintaining a stoic silence over the Didi-Modi matter as he strongly believes in the rule of law. He is enemy to none; and is not inclined to extend support to any outfit or person unless it is legally correct and publicly decent too. Now that the Supreme Court has made its stand clear, Mamata seems to have lost, though Modi cannot be considered a victor by any means. As per law, if the CBI receives information or complaints concerning a particular case with enough evidence to indicate misconduct of a public servant, but not enough to justify registration under Section 154 of the Code of Criminal Procedure, a preliminary enquiry has to be initiated. Even in cases under orders of the Supreme Court and the High Courts, a preliminary enquiry is to be initiated only after receiving the consent of the head office. The CBI, headed by a director, operates under the jurisdiction of the Ministry of Personnel, Public Grievances and Pensions. It investigates economic and special crimes, cases of corruption and other high-profile cases not solved impartially or efficiently by the state police. The Bureau was formed as a Special Police Establishment, in 1941 by the British-Indian government to investigate bribery and corruption cases in the ‘War and Supply Department’ of India, with headquarters in Lahore. The Superintendent of the SPE was Qurban Ali Khan and who migrated to Pakistan after partition. The bureau came under the Home Department in 1946 and its scope was expanded to cover all departments of the central government including the Union Territories. It can investigate state cases only if the state governments desire or when constitutional courts order to do so. The DSPE acquired its popular name ‘CBI’ on 1 April in 1963. Apart from economic corruption cases, the CBI has long been hailed as the most efficient agency to investigate crimes including murder, kidnapping and terrorism across India. For this perception only, the Supreme Court and provincial High Courts began assigning cases to the CBI when aggrieved parties filed petitions by way of appeals. • Central Forensic Science Laboratory Division. D. P. Kohli, the founding director of the CBI had held the office from 1 April 1963 to 31 May 1968. Kohli only had turned the CBI into a respectable probe agency, for which he received the Padma Bhushan award in 1967. The legal powers of the CBI are derived from the DSPE Act of 1946, which clarifies powers, duties, privileges and liabilities. CBI Officers above the rank of sub-inspector may be considered officers in charge of police stations. The agency can initiate investigation only after receiving a notification from the central government.  Multi-agency or international cases. The incumbent CBI authorities have invariably demanded sufficient financial and administrative powers and a minimum three-year tenure to ensure real ‘functional autonomy’ particularly by the director. It appears fair that the director, CBI is vested with ex-officio powers of the Secretary to the Government of India, reporting directly to the minister, without having to go through the DoPT. Lately, some form of autonomy has been granted by the Supreme Court of India to CBI when it held that CBI can prosecute senior bureaucrats without central government’s permission. Indian Supreme Court also held that Section 6A of Delhi Special Police Establishment (DSPE) Act is thoroughly unconstitutional as different laws cannot be made for different categories of officers as it violates the article 14 of the Constitution which guarantees for equality before law for all citizens alike. A Constitution Bench comprising Chief Justice R.M. Lodha and Justices A.K. Patnaik, S.J. Mukhopadhaya, Dipak Misra and Ibrahim Kalifulla, while allowing the petitions filed by BJP leader Subramanian Swamy and the Centre for Public Interest Litigation, held that Section 6A of the DSPE Act, which granted protection to joint secretary and above officers from facing even a preliminary inquiry by the CBI in corruption cases, was violative of Article 14. Coming back to the Modi-Didi battle of wits, it would be appropriate to say neither has come out with respectable win. Modi timed the CBI act wrong as the sleuths appeared on the scene just around the election times to confuse the public. The CBI has done the same in Odisha too as if the probing body has woken out of slumber all on a sudden. Naveen Patnaik is plain cool over whatever is happening in own state or around the country because his stand has remained crystal clear. Any member of his party, irrespective of his standing, has to step down and walk out of home in case the taint of misdemeanor shows. He does not come in the way of the central investigating agencies at all; rather facilitates the process as a perfectly law-abiding statesman. Hence, so many top politicians including elected representatives have been put in jail, some languishing even today. The ones perceived to have brought infamy to the party or government have been shown the door or discarded without delay. Mamata Didi is not as courageous because she certainly belongs to a weaker genre of politicians. If only Didi had welcomed the CBI with grace and civility, she would have emerged a ‘hero’ among the anti-BJP outfits across the country. She has lost the opportunity. Naveen is much saner; smarter too!